Nodal Labs, a blockchain-based talent and recruitment platform launching in Spring, has hired M&C Saatchi Public Relations to a wide-ranging brief worth around half a million pounds a year. The agency has been hired in a long-term retained capacity in the UK for support across media relations, events, social and community management, and content and website development. It will also provide strategic counsel ahead of a planned ICO, which is a form of public flotation involving the issuing of cryptocurrency coins as tokens. It follows an investment in Nodal Labs from ABH Management LLP. The Nodal platform has been developed by entrepreneur and founder Oliver Hibbs-Brockway. 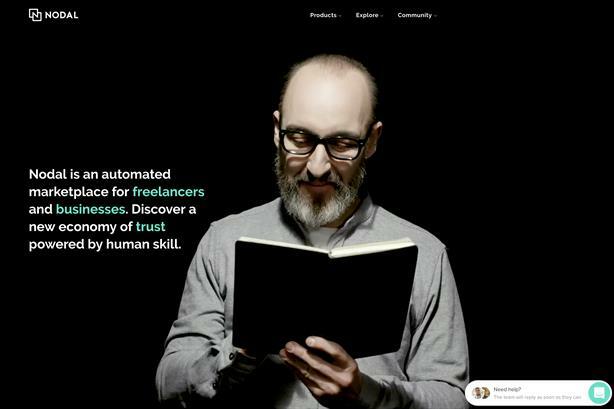 Launched across the creative, VFX, film, construction, property and engineering sectors, it uses blockchain technology to automate timesheets, introduce freelancers, handle compliance and validate the skills and experience claimed by candidates. Senior employees include a former duo from post production company The Mill – ex-global head of talent, Garreth Gaydon, who is now director of talent engagement at Nodal, and Nick McCarth, formerly The Mill's lead designer and now chief product officer. Blockchain expert Eitan Jankelewitz is an advisor to the board. Hibbs-Brockway said: "We are building a trust economy that changes the way people work and interact with each other, our freelancer management platform has attracted the very best internal talent and I have continued this ethos in the appointment of M&C Saatchi Public Relations to handle the strategic development, launch, and future profile of the brand." Chris Hides, co-founder and global MD of M&C Saatchi Public Relations, said: "Nodal Labs can become one of the biggest and most valuable technology brands for years, and the potential for the business is huge. The chance to work from the outset in crafting the brand narrative; development of assets and design materials; and launching the brand to the market make this a very rare opportunity, and to be a partner in this is something we’re proud and excited by."